THE year 2014 ended the period of Russian-Western cooperation ushered in by the end of the Cold War and the toppling of the communist system in the Soviet Union. A new period has begun, marked by rivalry and competition, primarily between Russia and the United States, but also between Russia and the European Union. The root cause of this reversal is the failure—despite several efforts—to include Russia in the Euro-Atlantic security system. The lesson of World War I, which was only learned after World War II, was again forgotten after the Cold War. This change is laden with serious geopolitical implications. Russian President Vladimir Putin’s first visit outside the former Soviet Union since the beginning of the Ukraine crisis was to China—Shanghai to be precise. This was significant because the deterioration of Russia’s relations with the West gave an additional boost to Moscow’s already close ties with Beijing. The Sino-Russian 30-year, $400 billion gas deal signed during President Vladimir Putin’s May 2014 visit to China—even though many of its key details still appear to be up in the air—is as important to global energy geopolitics as the agreement concluded in the 1960s which opened the way for Russian gas to reach Western Europe. It will, however, change more than just energy flows. Beyond gas and oil, Russia looks forward to expanding its presence in China’s nuclear energy market. There is also an electric power connection, which completes the all-round energy partnership. In the field of defense cooperation, there is the likelihood of new deals, which would bolster the People’s Liberation Army’s capabilities. China and Russia even announced they would conduct joint naval exercises in the Mediterranean in 2015. Critics contend that Putin had to give too much to China in terms of price concessions. Historically, this has been the sticking point in Russo-Chinese gas talks. It is true, of course, that the sharp decline in Russia’s relations with the West also weakened Moscow’s hand in its dealings with Beijing. Yet gas prices can go down—sometimes they follow the plummeting price of oil—which is why creating alternatives to the European market is a must for Russia. More importantly, President Putin may have dropped his earlier resistance to allowing the Chinese to get a stake in Russian energy projects. Russia’s pivot to Asia, particularly to China, is becoming more pronounced even as the West has been ratcheting up sanctions against Moscow. The Russo-Chinese partnership, originally a pragmatic arrangement, is acquiring truly strategic depth. Viewed from Moscow, China and the EU are increasingly seen as equidistant, and Russia still seeks to strike a balance between the two. The Russo-Chinese gas deal did not switch Gazprom’s exports from Europe to Asia. However, the opening of the Chinese market did diversify the Russian gas trade away from Europe. Putin’s decision in late 2014 to cancel the South Stream project—which was to have supplied gas to Southern, Central, and Southeast Europe—emphasizes and accelerates the fading of Russia’s until-now special relationship with the European Union. With respect to Ukraine, Russia realizes that China is not particularly fond of sudden border changes that impinge on territorial sovereignty, or great-power confrontations that can be disturbing to other countries. On the other hand, Moscow appreciates that Beijing abhors political interference resulting in regime changes even more. Thus, Russia sees China’s neutrality in the Ukraine crisis as a ‘plus’ for them. The evolving confrontation between Russia and the United States is being largely waged in the fields of economic sanctions and information warfare. America’s trade relations with Russia are fairly weak ($26 billion in bilateral trade in 2013), so Washington has been pressing the EU Member States (with $370 billion in trade with Russia in 2013) to hit Russia hard. After having initially balked at taking measures that would also hurt themselves, the Europeans abruptly changed their attitude in the wake of the July 2014 downing of Malaysian Airlines flight MH17 over eastern Ukraine. They are also seeking ways to reduce their dependence on energy imports from Russia. China, in contrast, is a major economy that is essentially immune to American political pressure; it is also a growing energy market. Russia’s trade with China ($88 billion) is less than that with the EU as a whole, but higher than with any single EU Member State, including Germany. Putin’s visit to China also coincided with joint Sino-Russian naval exercises. These are held regularly, with the previous one having taken place in the Sea of Japan, off the coast of Vladivostok. In May 2014 the venue was the East China Sea, where the territorial dispute between Beijing and Tokyo over the Diaoyu Islands (Senkaku Islands in Japanese) has heated up. By not objecting to the area where the maneuvers were to be held, Moscow sent a clear message to Tokyo that signing up for U.S.-ordered sanctions against Russia would entail a cost. Putin’s visit to Japan, originally planned for fall 2014, was postponed. The window for resolving the long-running territorial dispute over the South Kuril Islands has, thus, been closed. Rather than balancing China—as Japanese Prime Minister Shinzo Abe had hoped—Moscow is getting closer to Beijing, in both energy and military spheres. In a March 2014 public statement, Putin made it clear that Moscow had no intention of concluding a military alliance with Beijing. Still, the mere invocation of such a possibility is a signal that the vector of Russian foreign policy has changed dramatically. Only four years ago, then-President Dmitry Medvedev—with then-Prime Minister Putin squarely behind him—was offering a “joint defense perimeter” to NATO. Today, Russia again considers NATO an adversary, and vice-versa. The Ukraine crisis came as an American response to Russia’s attempts to reintegrate the second-largest former Soviet republic within its Eurasian Union project, which some in Washington interpreted as a new edition of the Soviet Union. The contributing factors included Moscow’s growing toughness—as evidenced, for example, in Russia’s handling of the Syrian crisis and the Edward Snowden affair. Putin believes that the era of American global dominance is coming to an end. Pursuant to that conclusion, Russia’s foreign policy has been seeking ways to strengthen ties with leading non-Western powers—above all China and India, as well as other emerging economies, such as Brazil, Egypt, Indonesia, Iran, and Turkey. This will not be easy, in view of Russia’s increasingly fragile economic state, but not entirely impossible, for in fields such as armaments, nuclear energy, space technology, and grain exports, Russia continues to be a major player. EU and its leading power, Germany. Russia understands power balances, and knows it now has a much weaker hand than it had even a year ago in dealing with China. Yet Russia will not back off. Instead, it will press ahead with its agenda aimed at restoring Russia’s role as one of the leading global players. Russia getting its act together. As the world keeps changing—in fact, as both Beijing and Moscow believe, it keeps changing in favor of non-Western players—the Sino-Russian relationship looks to be an important feature of future realities, rather than a throwback to the 1950s. There are many assessments of the substantial effects that the U.S.-orchestrated sanctions and steep drop in oil prices have had and will continue to have on Russia’s economy—even driving it toward recession in 2015. Russia’s economy had been slowing down well before the Ukraine crisis. The model that assured Russia’s elevated growth rates in the 2000s—founded on ever-rising oil prices—was destroyed in the global economic crisis of 2008–9. Even though oil prices did recover after their spectacular fall (they remained remarkably stable for a few years), they plunged right back down again towards the end of 2014. Russia’s budget, largely dependent on stable oil prices, may no longer assure growth. The situation is serious: President Putin’s 2012 signature package of social expenditure and military modernization program were based on a projection of five percent growth. The Ukraine crisis immediately led to a worsening of capital flight from Russia, a collapse of the stock market, and a weakening of the ruble. Western sanctions sent a powerful message to foreign investors: stay away from Russia. Personal sanctions against some of Putin’s closest friends and associates impacted prominent businessmen, such as Gennady Timchenko, an oil trader, and Igor Sechin, head of the state-owned Rosneft company. Limited sectoral sanctions then followed, aimed at crippling important parts of the Russian economy, such as energy and banking, by targeting their access to Western financial markets. Further sanctions might still follow. But we have not yet witnessed a complete disintegration of Russian-Western business ties. For one, the Kremlin, in its Ukraine policy, has been careful to fly under the radar. It certainly gave support to the eastern Ukrainian resistance against the Kiev government and its Western sponsors, yet it has abstained from overt interference, in particular large-scale military invasion. Putin has also engaged European leaders diplomatically, as during his visit to France in June and during the APEC and G20 summits in November 2014. Moscow did not hope to change views in Washington. What Putin did instead was to provide just enough arguments to those in Europe who were interested in continuing business relations. The German business community, with over 6,000 companies active in Russia, made it clear to Chancellor Angela Merkel that it considers the Russian connection a vital one. France continues to agonize over the delivery of two warships commissioned by the Russian Navy—one appropriately named Sevastopol, after the Black Sea Fleet’s main base in Crimea. Throughout the crisis, Britain made it absolutely clear that it had no intention to move against Russian interests in London. And Italy, despite the change of governments, clearly opposed any serious sanctions against Russia. In a nutshell, most Europeans want to contain the Ukraine crisis, rather than Russia itself. The threat of crippling sanctions, however, was not dismissed by Moscow. Faced with a brief interruption in the service of some of its financial institutions’ banking cards, Russia revived its plans to develop a national payment system, based on the Chinese and Japanese models. This should be ready within 18 months or so. The State Duma passed legislation requiring internet companies to store all personal data of Russian citizens on Russian territory. The Russian defense industry, conscious of the increasingly stringent export controls on high-technology products, has sought to make better use of domestic resources. It is not clear how the sanctions saga will develop. The U.S. has never imposed sanctions against an economy as big as Russia’s—the world’s fifth largest in terms of purchasing power parity. Even though America’s own trade with Russia is relatively small, it critically depends on the cooperation of its allies, many of which have productive relations with Russia. Europe still heavily depends on Russia’s energy exports. Some U.S. energy giants, like ExxonMobil, were reluctant to terminate cooperation with Russia. Since China, the world’s second largest economy, does not take guidance from Washington, Russia’s complete economic isolation is technically impossible. Western sanctions, however, have jolted the Russian economy out of its complacent reliance on oil and gas. 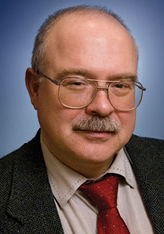 Russia could use this new regime to begin its long-delayed re-industrialization. As is said in Russia, “misfortune can give something that which fortune has failed to give”—a powerful impetus, in this case, to overcome the image of being a ‘Saudi Arabia with snow’ and start building a modern economy. If this were to really happen, Russia should be thankful to the Obama Administration and the EU, led by Chancellor Angela Merkel. Economic sanctions work both ways. Russia—the object of many rounds of sanctions—evidently suffers from its recent exclusion from Western financial markets, new restrictions on the transfer of technology, and the drying up of foreign investment. The EU—which has imposed sanctions on Russia alongside the United States, Japan, Canada, and Australia—has also incurred losses, both from the fall in its industrial exports to Russia and from Russia’s counter-ban on importing European agricultural products. The United States and Russia share a common threat in the Islamic State. It is easy to see that the only beneficiaries from the lack of cooperation and coordination between Russia and the West in the Middle East are local extremists, who, for their part, make little distinction between Westerners and Russians. Ever since the beginning of the Ukraine crisis, hopes have been raised about a de-escalation of the current tensions, leading to the easing and eventually lifting of sanctions. Yet time and again, these hopes have been exposed as wishful thinking. November 2014 witnessed two major international summits, the APEC meeting in Beijing and the G20 event in Brisbane, Australia. Both gatherings included U.S. President Barack Obama and Russian President Vladimir Putin. This was a chance to reverse the tide. The opportunity to improve ties was not used, however. The main reason for this sad state of affairs is that Ukraine is not a cause, but a symbol of the serious and deepening crisis between the U.S. and Russia. The essential point is that Russia, in dealing with Ukraine, has broken out of the U.S.-dominated international system. Moreover, it has materially challenged the global order that the United States strives to uphold. For both sides, the stakes are exceedingly high. For Moscow, it is about the survival of the Russian political system and even the state itself. For Washington, it is about the continuity and credibility of American hegemony. Given these conditions, a compromise seems virtually impossible. By its very nature, any compromise will necessarily favor Russia—a non-starter for the United States. It is likely that the U.S.-Russian crisis, rather than being promptly resolved through some new reset, will become a permanent state. In the foreseeable future, Ukraine will be the geopolitical focus of the new confrontation, but much of the struggle will be waged elsewhere: in the realms of geo-economics, information, culture, and cyberspace. It is also clear that this confrontation has already expanded beyond the U.S.-Russia relationship. Moscow’s relationship with the EU, starting with Germany, is irreparably damaged, as are its relations with other U.S. allies such as Australia, Canada, and Japan. Conflict resolution is not on the agenda. It is time for permanent crisis management. In contrast to the Cold War—to which the present Russian-Western confrontation is often compared—the current situation lacks agreed (albeit unwritten) rules, is characterized by a gross asymmetry in power, whilst being utterly devoid of mutual respect, not to mention a nearly universal lack of strategic thinking. It is thus more likely to lead to a 1914-style collision, rather than one along the lines of the American-Soviet conflict. The Cold War, after all, stayed largely cold. Unfortunately, there is no such certainty about the present situation. Crisis management must ensure, at the very least, that there is no resumption of hostilities in eastern Ukraine. Should Kiev, with Washington’s blessing or its acquiescence, attempt to retake Donetsk and Lugansk, the Kremlin may not confine itself to restoring the status quo. In that case, the Russian military might be ordered to go for Kiev. The best one can do now is to engage in practical steps to make life less miserable for those directly affected by the conflict. The trilateral Russia-Ukraine-EU agreement on gas supplies to Ukraine—finally concluded at the end of October 2014—was a useful first step. For all intents and purposes, its implementation will result in the application of the following formula: Ukraine will get gas, Russia will get the money, and Europe will have to support Ukraine. Russia, of course, will have to support Donbass on its own. Fair enough. Merkel’s memorable phrase, Putin may “live in another world.” If Europe led by Germany wants to be a serious player—and it needs to become one—for the sake of its own security, Europe will have to build a relationship with Russia on a new foundation of realism and pragmatism, without the sweet illusions and false expectations of the past. The September 2014 NATO Summit in Wales—which was, of course, held against the background of the armed conflict in Ukraine—brought a Cold War atmosphere back to Europe. The Atlantic Alliance is setting up a “Rapid Reaction Force” to deal with emergencies on Europe’s eastern flank. Its military infrastructure is moving toward that exposed flank, and closer to Russia’s borders. NATO forces will now spend more time exercising in the east, and their presence there will grow visibly. NATO-leaning Ukraine, which the Alliance alleges is an object of “Russian aggression,” has been promised financial and military support. The Ukraine crisis is not just about Eastern Europe, it is also about the world order. The Kremlin is seeking Washington’s recognition of what it regards as its core national security interest: keeping Ukraine as a buffer zone between Russia and the West, particularly NATO. Washington, on principle, denies Moscow this “imperial privilege,” and insists on the freedom of all countries, including Ukraine, to choose alliances and affiliations. Confrontation with the United States over Ukraine and the economic sanctions imposed by America and its allies made the Russian government change its economic, financial, and trade policies. The priority became stimulating domestic businesses, particularly in industry and agriculture, as well as science and technology. Russia has not—at least not yet—abandoned globalization, or shut itself out of the wider world and adopted autarky. Its foreign economic ties, however, are undergoing a major restructuring. The share of its economic engagement with the West is going down, while that with Asia—with China, most notably—is going up. What is particularly important from Moscow’s perspective is that Beijing is fully sovereign in setting its own policy course—that is to say, Beijing successfully resists and rebuffs Washington’s pressure. Moreover, for obvious geopolitical reasons, China has no interest in seeing Russia get crushed by American policies. This makes the Sino-Russian economic relationship a major beneficiary of the downturn in Russia’s ties with the West. The Kremlin has been cautiously moving away from reliance on the U.S. dollar as a main medium of foreign transactions. In June 2014, Russia joined China, India, Brazil, and South Africa in founding a BRICS development bank and a special reserve fund. Russia is considering selling some of its oil to China in yuan, which would then be used for purchasing Chinese oil-drilling equipment. All these changes are of fundamental importance, because they signify a shift that is neither tactical nor transient. The quarter-century of Russia’s efforts to find an acceptable place for itself in the American-led Western system have ended in bitter disappointment. The changing trading patterns point to a new era in Moscow’s foreign relations, which will prioritize trading outside the West. In addition to China, that means India, Turkey, Iran, Egypt, Brazil, Argentina, and other emerging markets. During 2014, all these nations were offered lucrative economic deals by Moscow. Despite some clear difficulties, Eurasian integration is also moving forward, with the Customs Union having given way to the Eurasian Economic Union on January 1st, 2015. 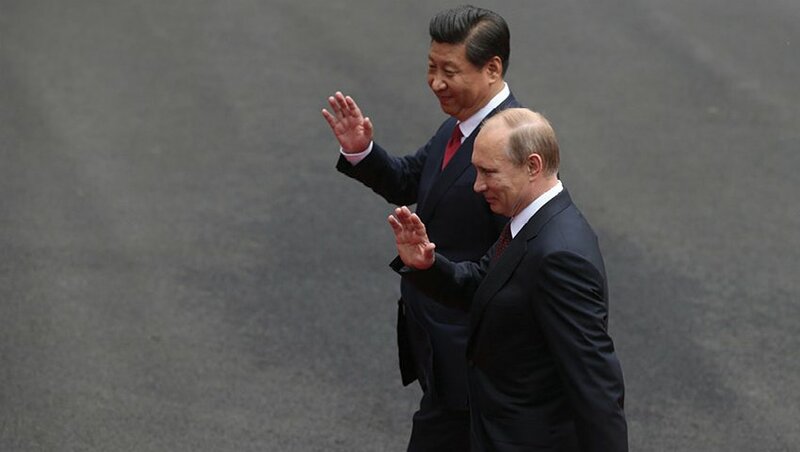 In this new era, Sino-Russian relations will take center stage. But the Chinese connection will not turn Russia into an Asian country. It will remain what it has always been: an Eastern European civilization, spanning northern Eurasia from the Baltic to the Pacific. Russia recognizes China’s strength, respects its interests, and regards it as a close partner, highly valuing its relationship with the Middle Kingdom. At the same time, Russia sees itself as a great power in its own right, which acts out of its own set of interests and underlying values. To Beijing, Moscow can be a friend, but not a follower. Russian and Chinese positions may coincide or overlap on a great number of issues, but even there Moscow will act as its own man. The Chinese will need to appreciate the fact that the Sino-Soviet alliance of the 1950s unraveled when the Russians failed to understand that China—despite its relative and temporary weakness at the time—never stopped thinking of itself as a great power, second to none. Pacific, where China—as vividly demonstrated by President Xi Jinping at the recent Beijing APEC Summit—has emerged at the pinnacle of the Kissingerian triangle of Washington, Moscow, and Beijing. Even if it takes many years, the present crisis in Russia’s relations with the West will eventually be resolved, and a new equilibrium in relations will be created (its contours will, of course, depend on the outcome of the current rivalry). In any event, Russia will doubtless maintain close economic and cultural ties with the European Union. Even though China has been acting as Russia’s leading trading partner since 2009, the combined trade between Russia and the EU will continue to overshadow Sino-Russian exchanges. Rather than “replacing” Europe with China in its foreign policy universe, Russia would be wise to develop its relations with China closer to the level of the intimate ties that link it to its European and Eurasian neighbors. If Western sanctions help Russia take a closer look at China, enable Moscow to see opportunities in the East, and above all incentivize the much-needed homework to restructure Russia’s economy and re-energize its society, it will be one good thing that they will have accomplished. Restarting the Six-Party Talks—as North Korea’s Kim Jong-un suggested in his recent message to President Putin—is the right first step. Sending that message through Moscow, under the present circumstances, was a smart move indeed.